A nutrition regimen lacking moderation can make babies easily have constipation. Constipation is disease that is popular in young children. A less-balance regimen or a wrong conception in feeding children of parents, such as letting children eat meat, drink milk a lot… can lead to constipation. The followings are foods that can cause constipation and need taking notice of. Moms should balance your children’s regimen to prevent them from constipation. In 100g lean red meat, there are 22.7g of protein, 2mg iron, 4.4mg zinc, 1.1mcg vitamin B12 and 0.15mg B2 that are good for the health of babies. When babies are in their 8th month, moms can help them to familiarize themselves with red meat. At the beginning, you should let them eat about half a teaspoon of pureed red meat. 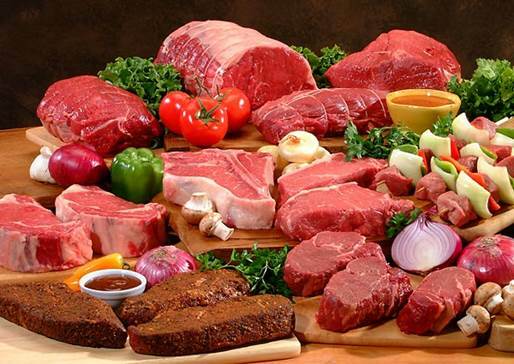 Later, you can increase the amount of meat to 1-2 teaspoons of meat or more, depend on the age of babies. However, moms shouldn’t feed your babies with too much meat or provide your with a meat meal because it will cause constipation which is due to lacking fiber or will have risks of obesity due to nutrition excess. You should feed babies with a moderate and sensible amount of meat. Sweets are favorite foods of nearly all children. Cakes, waffles, pies or candies and other sugar products have a low level of fiber while having quite a lot of fat and sugar. Therefore, eating those foods can increase the risk of having constipation, or in the worse situation, having permanent constipation. Besides, children eating lots of confectionery have much chance of tooth decay and obesity. For that reason, you should only let children eat a certain amount of sweets and buy children less sweet confectionery or make the confectionery by yourselves instead. 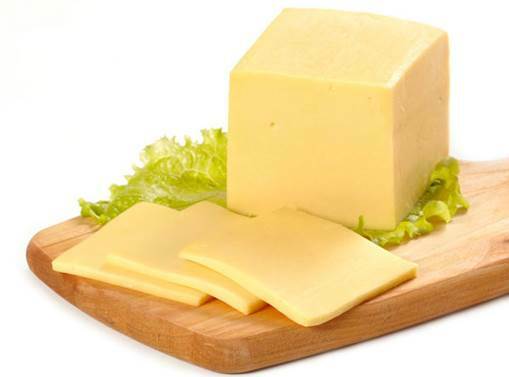 Milk products, such as milk, butter, cheeses, and ice-cream, have a small content of fiber but a high level of saturate fat. Constipation often happens to children who drink formula milk, which is mainly due to making incorrect formula (too condensed). In that case, moms should let the babies drink more water and making the milk washier than normal. Milk and milk products contain lots of healthy compound for babies. Hence, moms should feed babies enough and in a right way in order to prevent them from eating too much, which can be counterproductive. Milk products have plenty of nutrients that are good for baby’s health. Fast food like sandwiches, pizzas, fried chicken, French fries, hamburgers, snacks… is baby’s favorite food. Though fast food is delicious, its important nutrients are considerably reduced. Moreover, fast food has a poor amount of fiber and a great content of fat which cause constipation, flatulence, indigestion and obesity. Eating regularly and too much food that is fried will increase the risk of having gastrointestinal diseases, especially constipation. For that reason, no matter how attracting and delicious the foods are to babies, moms need to remember to feed babies with a moderate and sensible meat amount to avoid affecting badly on their young digestive system. Caffeine is contained in coffee, chocolate, tea and soft drinks. Children might not want coffee, tea as adult do, but chocolate and soft drinks always attract them. Caffeine in foods that children eat or drink makes their body to secrete more water, which lead to the risks of constipation. In case children absorb too much caffeine that the body can’t afford, it can lead to symptoms like hypertension, shortness of breath, insomnia and glaucoma. 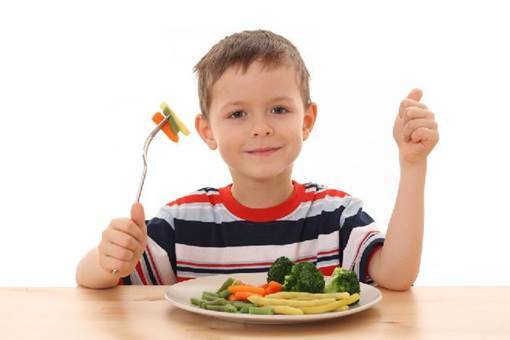 To have healthy children, moms should be careful when letting children eat those foods mentioned, and need to create a sensible regimen to help the digestive system of children to perform as well as possible.